Everything. The terrace was amazing. 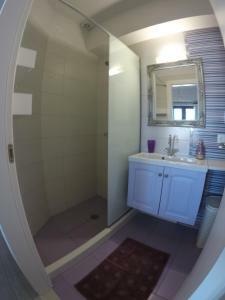 The location excellent and the owners were very helpful and friendly. The family that owned the apartment were very friendly and helpful. Great location near the centre of Lindos. However still extremely quiet. Friendly welcome and any help throughout our stay kindly provided by Stelios and Elena. Spotlessly clean. Comfortable bed. 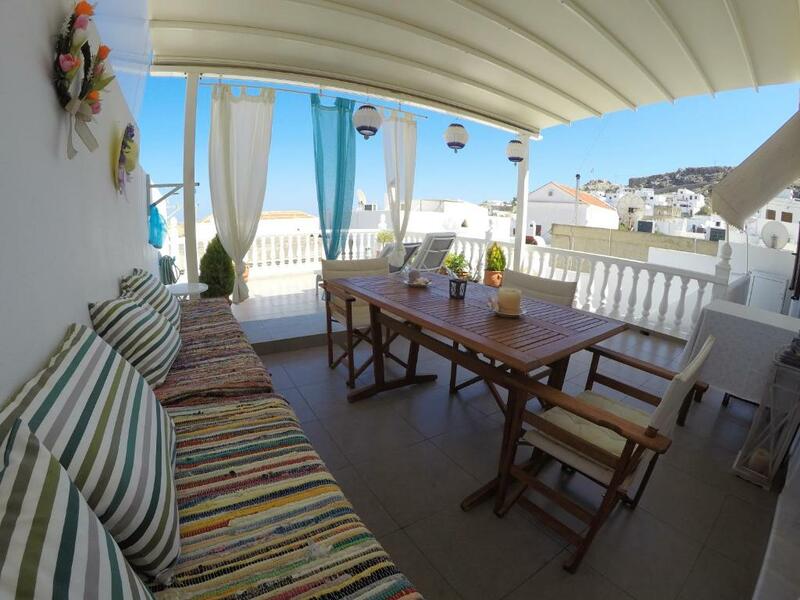 Great terrace area overlooking the town. All facilities stated were there. Basically everything we wanted from our accommodation. Would definitely recommend! 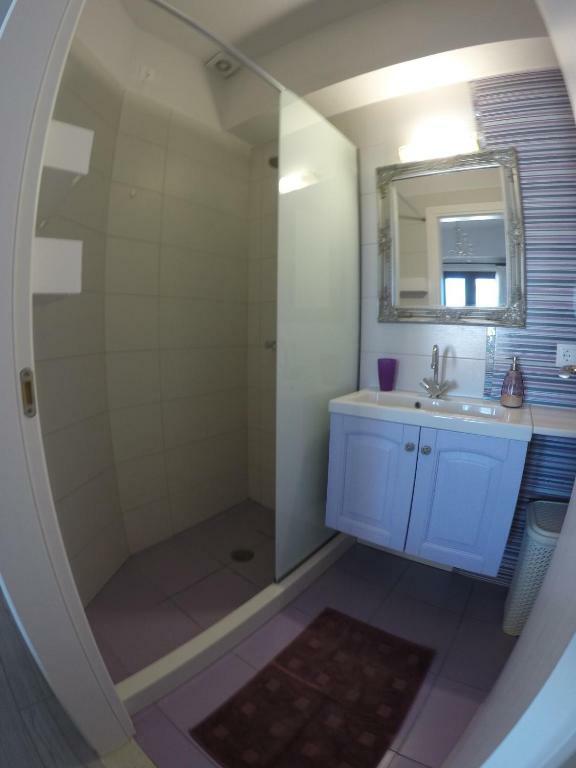 The property is in a central location. A couple of minutes away from Bars, restaurants, shops and mini-markets. Nefeli beach and St. Paul's beach is around 15 minutes walking distance away. The property was spacious and had everything I could think of. I was very clean. Our hosts. Mrs Eleni and her husband live downstairs. Great people. Great hospitality! Thanks to the owner for the delicious fruit, cookies and wine! 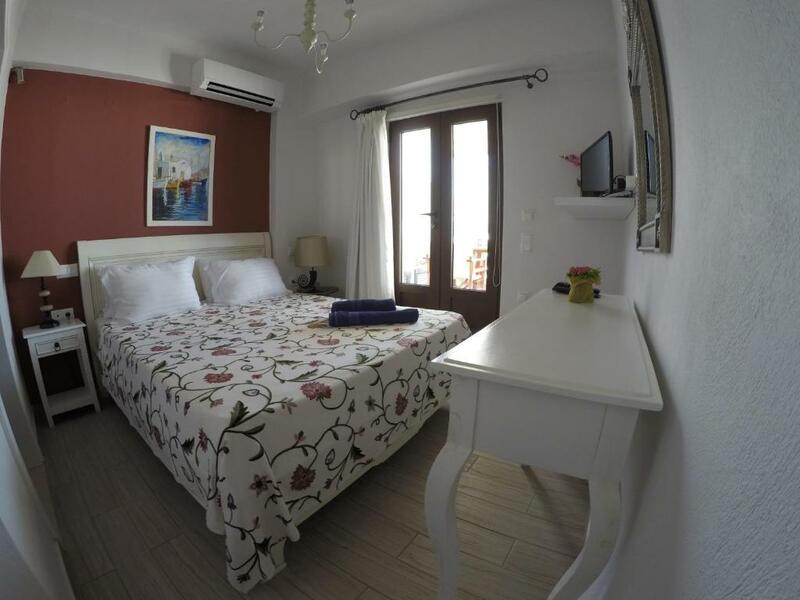 Very clean apartment, nice view on the rooftop terrace, comfortable and good location to main attractions and tavernas.We will glad to come back. We cannot say enough good things about the apartment. It was so good, that 10/10 does not do it justice. The whole place was spotlessly clean, a perfect location and the view from the terrace was just amazing. We will hopefully return if the hosts will have us after we unfortunately locked the keys in after leaving. Sorry. La terrazza è spettacolare e la vista impagabile. 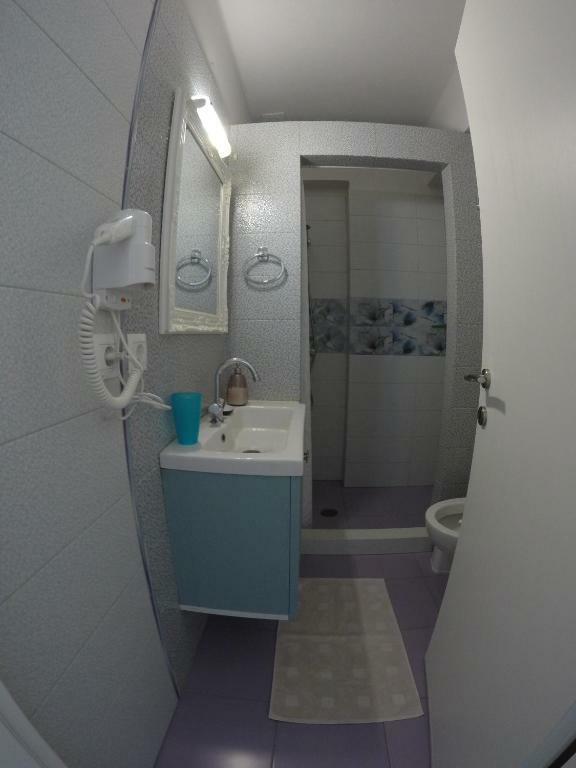 L'appartamento molto carino e confortevole. Ho apprezzato molto la presenza della lavatrice, che abbiamo utilizzato per lavare alcuni indumenti delle bambine e asciugamani. Ho molto apprezzato la pulizia a metà settimana ed il cambio biancheria. appartamento stupendo, con terrazza magnifica con vista sull'acropoli. pulitissimo e funzionale. Eleni e Stenos, i propritetari sono deliziosi e disponibilissimi. Τα πάντα ήταν τέλεια. Φιλικό περιβάλλον, καθαρό άνετο είχε τα πάντα μέσα. Από κοντά δείχνει πιο ωραίο απ'ότι στις φωτογραφίες. Ο κύριος του σπιτιού εξαιρετικός ευγενικός μας είχε και 2-3 πράγματα το ψυγείο για το καλωσόρισμα. Τα σεντονια και οι πετσέτες μοσχοβολούσαν. Γενικά σαν να είσαι σπίτι σου. 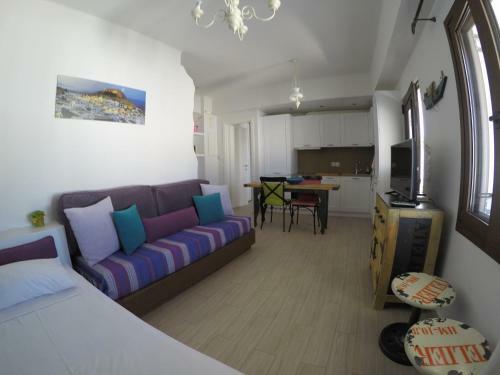 Lock in a great price for Eleni Boutique Apartment – rated 9.8 by recent guests! Featuring sea views, Eleni Boutique Apartment has accommodations with a terrace, around a 4-minute walk from Lindos Acropolis. The property has free WiFi. The apartment is composed of 2 bedrooms, a dining area, a fully equipped kitchen, and 2 bathrooms. A flat-screen TV with satellite channels is available. 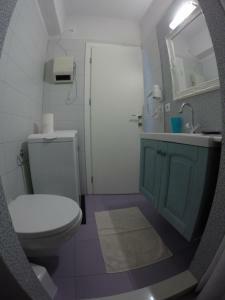 The nearest airport is Diagoras Airport, 32 miles from the apartment. 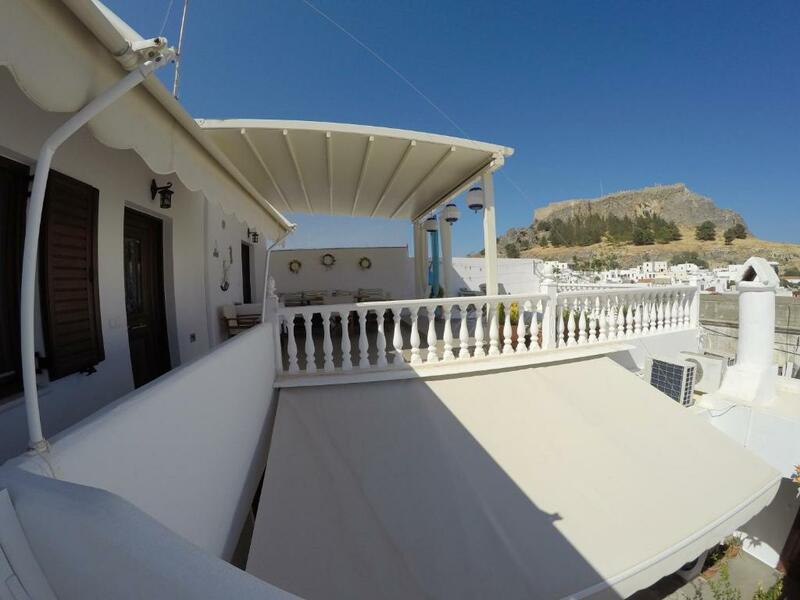 This property also has one of the top-rated locations in Lindos! Guests are happier about it compared to other properties in the area. 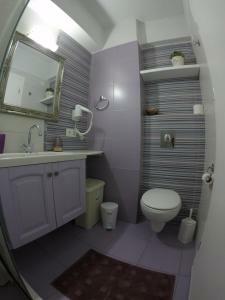 뀐 Located in the top-rated area in Lindos, this property has an excellent location score of 9.9! 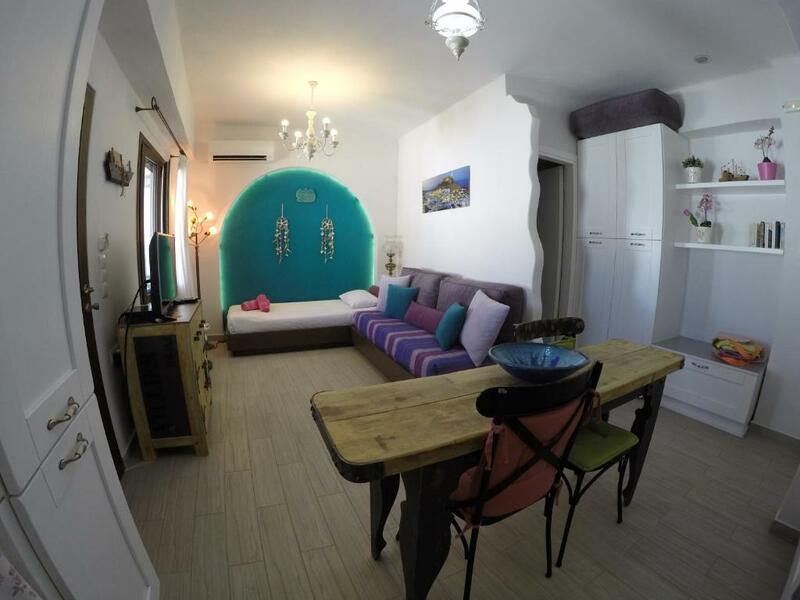 When would you like to stay at Eleni Boutique Apartment? This apartment features a toaster, sea view and electric kettle. 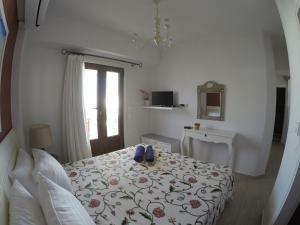 House Rules Eleni Boutique Apartment takes special requests – add in the next step! Eleni Boutique Apartment accepts these cards and reserves the right to temporarily hold an amount prior to arrival. Please inform Eleni Boutique Apartment of your expected arrival time in advance. You can use the Special Requests box when booking, or contact the property directly using the contact details in your confirmation. All the buildings in the old town are situated on the side of a mountain with the acropolis on the top. The views are spectacular. I probably wouldn't advise people with physical disabilities to travel in particular people with back problems because some of the roads are steep going up or down.